To explain why a subgroup of young men aged 20–24 years do not follow the general trend within the adult general population, of declining violence with age. A cross-sectional survey of 8,397 adults in households in Great Britain in 2000. 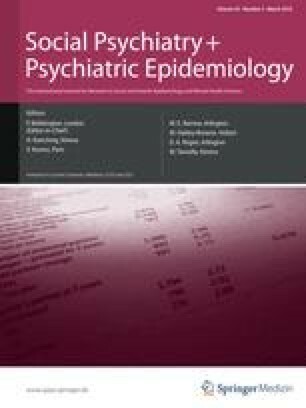 Computer-assisted interviews to measure self-reported violence and psychiatric morbidity. Young men age 20–24 years had the same high prevalence of self-reported violence as those 16–19 years (52 vs 50%; P = 0.737), contrasting with women whose violence demonstrated a progressive decline (24.1 vs 14.5%; P = 0.002). This age-related gender difference was explained primarily by young men who continued to live at home with their parents (OR = 2.53; 95%CI 1.23–5.20), with smaller effects from childhood conduct disorder (OR = 1.56; 95%CI 0.75–3.21), and hazardous drinking (OR = 2.23; 95%CI 0.76–6.56). Young men living at home were only 4.3% of all male respondents but yielded an attributable risk fraction of 21.4% reporting victim injury. The persisting high prevalence of violence among young adult men is explained by delay in moving to social independence. Public health interventions to reduce effects of known risk factors for violence must consider progressive economic and social changes in young men’s lifestyles in westernised countries. The survey was conducted by Office of National Statistics and was funded by the Department of Health.